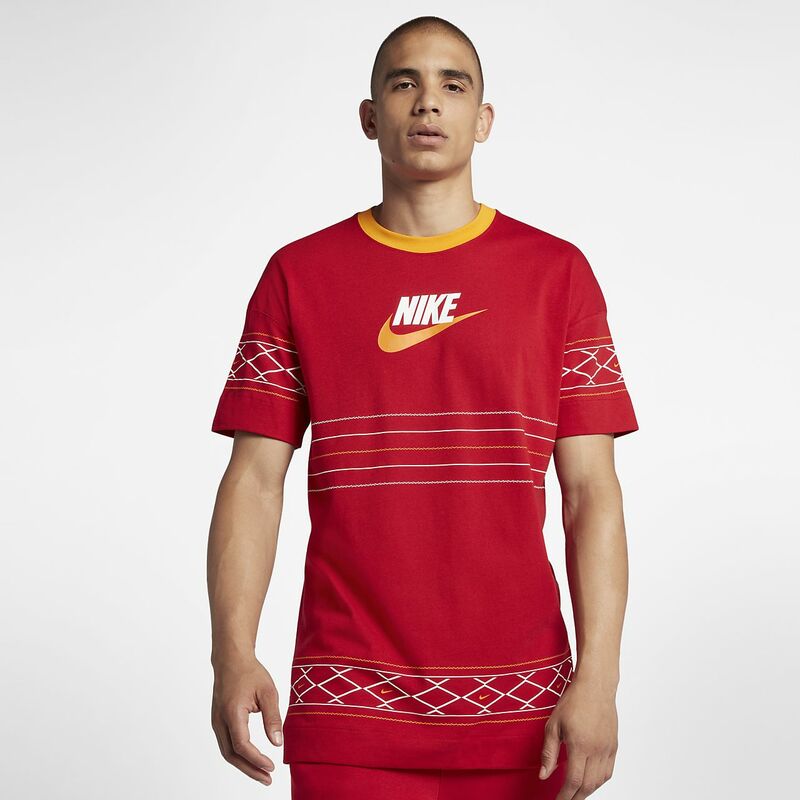 The Nike Sportswear T-Shirt combines lightweight cotton with a loose fit. Modern graphics encircle the sleeves, chest and hem—the perfect contrast for this classic style. Made with cotton for a soft and comfortable feel. Ribbed neck offers additional durability.